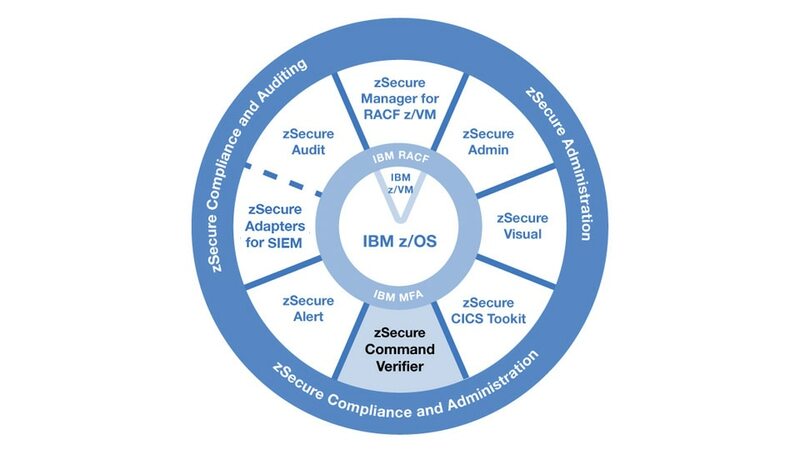 IBM® Security zSecure™ Command Verifier provides an additional security layer that enables you to compare each IBM Resource Access Control Facility (RACF®) command to your security policies prior to processing. Prevent security changes that can reduce the availability and compliance of systems and cause security database pollution, policy violations and security vulnerabilities. Take control of RACF commands to provide the continuous security and compliance of your RACF environment. Commands are intercepted as they are entered and compared to your security policy to determine whether or not they should be run. Retrieve information on changes in seconds, saving hours of log file research and reducing the risks associated with accidental or malicious actions performed by privileged users. Define and specify more focused commands using RACF policy. Generate alerts and grant commands beyond general verifications.